Last few days were the worst days because of my daughter’s health, she was having terrible problem in her stomach. She stopped eating and we were literally feeling hopeless. Dr gave her some medicine but still she was not eating. But from today morning she is little ok. So I thought to make something with protein which can help her to regain some energy. 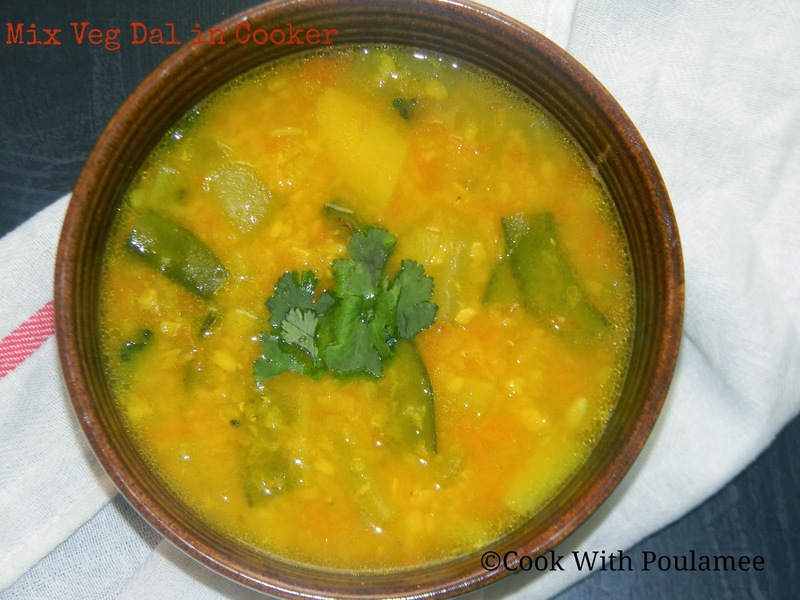 I prepared some mixed dal with lots of fresh veggies, she really likes the dal and after 36 hours she ate some solid today. I am really feeling relaxed after her lunch. 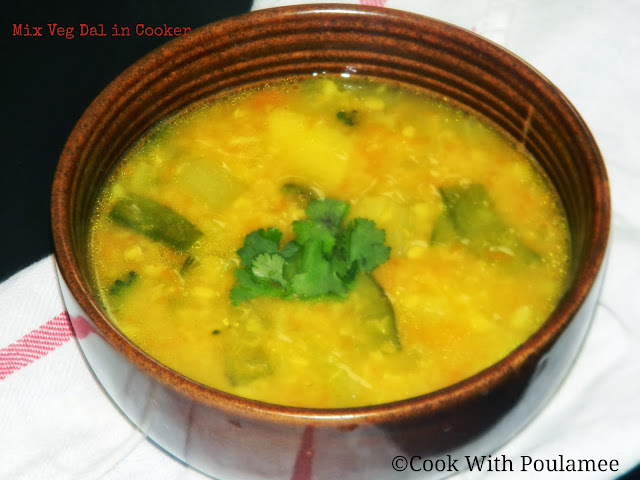 This type of vegetable dal is always perfect for anyone who is not willing to have anything else. And I think this one is good for small babies also. 5.Beans: 4 to 5 piece cut into small pieces. 7.Sweet Potato: Few small pieces. 8.Valor: 5 to 6 cut them into small pieces. 9.A small bitter gourd cut into small pieces. 9.Pinch of roasted ajwain powder. 11.One table spoon of butter or Ghee. First wash and clean the veggies, then wash and clean both the dal’s. Now in a pressure cooker add the ghee or butter let it hot add the cumin seeds and the ajwain powder. Then slowly add all the chopped veggies and sauté for few mints. Then add the clean dal’s and a pinch of turmeric powder, salt and some sugar and sauté for few seconds. Then add enough water and cook with 3 to 4 whistle, your veggies dal is ready serve hot with plain rice or roti.